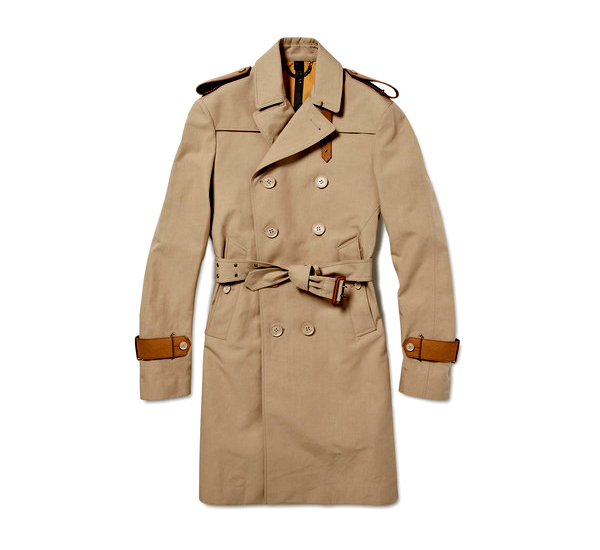 Gotta love the Burberry Prorsum Spring / Summer 2011 Trench Coat. Once again Burberry comes with a classic stamp and elegance the brand is already known for, giving us the sophisticated trademark Burberry man. Designer Christopher Baily brought the military themed inspiration to a new level, giving it more of a punk-rock edge for this season. The use of leather materials gives an extra edge to the traditional Burberry Trench Coat we’ve become accustomed to. Remember the collection is made for a British summer, so jackets and coats are a necessity there. However, you can always select perfect summer Burberry items for warmer climate.